Since I was lucky enough to be heading to Buenos Aires, Argentina, I decided to fulfil a lifelong ambition. I started planning a trip to explore the southernmost tip of South America, on a cruise aboard the Via Australis, from Punta Arenas in Chile to Ushuaia in Argentina. I'd heard a lot about Patagonia and the incredible glaciers you could see, so a cruise seemed like the perfect opportunity to see it for myself! 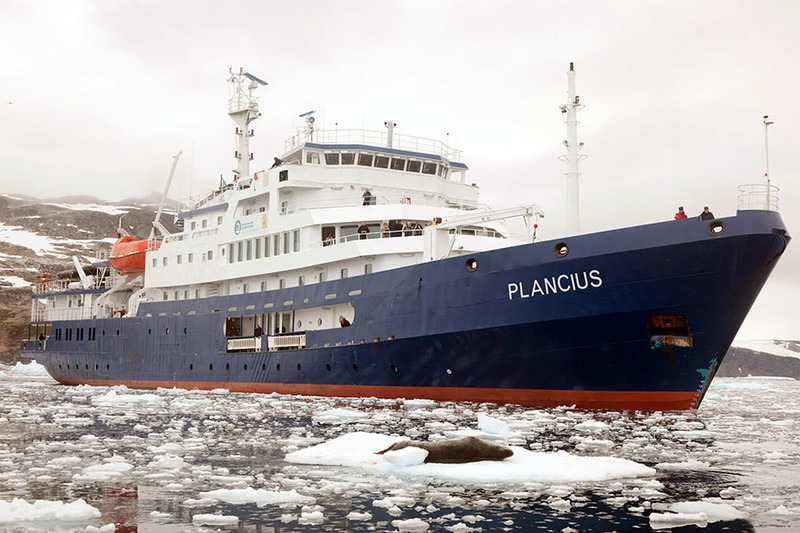 We boarded the Via Australis for a 4 night/3 day expedition cruise from Punta Arenas in Chile to Ushuaia in Argentina. Along with our fellow 80 or so passengers, we’d spend the next few days exploring the most remote and spectacular parts of Tierra del Fuego and Cape Horn. I had never been on a cruise of any kind and right from the start I was impressed with the staff and the levels of service. I was also amazed that our cabin was not only spacious but also had a great big window so we could take in the dramatic scenery. With some free time to explore the ship before the Captain’s introduction, we discovered two spacious lounges where guests can enjoy tea, coffee and snacks, along with stunning views through the huge windows. On the first night we were served cocktails and delicious canapés in the Sky lounge for the Captain’s introduction to his officers, hotel staff and expedition team. We were also given a run through all the safety instructions. Then it was time for dinner, a wonderful 4 course sit down affair complete with superb Argentinean and Chilean wines. Waking up on the first morning was really exciting. We pulled open the curtains to see that we were in the Alberto de Agostini National Park - the feeling of remoteness was fantastic, with nothing but beautiful, uninterrupted views! It was then off to the Patagonia Dining room for a hearty breakfast before heading to the Sky Lounge for instructions. Our first disembarkation of the trip was to be in Ainsworth Bay, the site of the Marinelli Glacier which comes from the Darwin Range Ice Fields. We were split into smaller groups and boarded a Zodiac boat, each with an expedition guide to talk us through the wildlife and plant life of the area. The guides were impressively knowledgeable and they answered all our questions, no matter how obscure. We really enjoyed exploring and learning all about the beauty of the area. Before getting back on the zodiac boats it was time for a hot chocolate or a glass of whiskey, laid out on the shore on a table complete with table cloth - it was all very fancy! Lunch was a buffet affair - once again there was lots of choice, along with some more lovely South American wines to wash it down with. The second disembarkation was at Tuckers Islets to visit a Magellanic penguin colony that arrives each spring to breed. I have seen penguins before but never so many in one place! 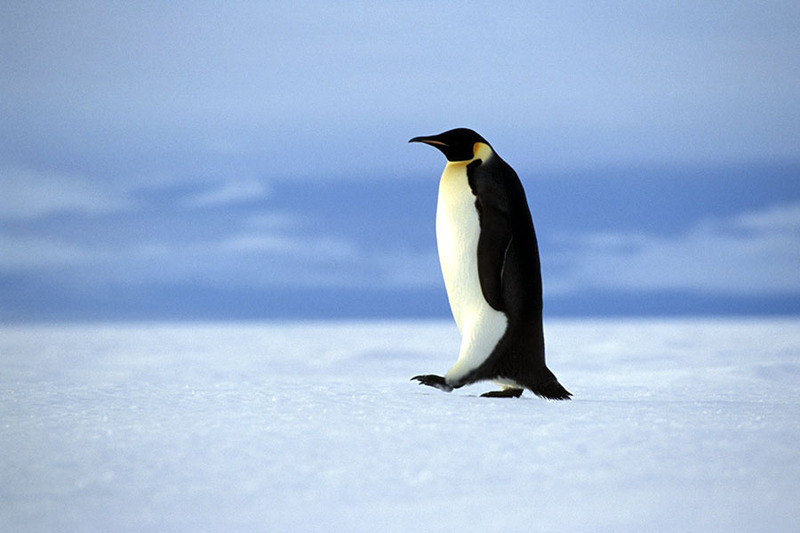 I could have watched them waddling along for hours and it’s impossible not to smile at these fascinating little creatures. We also got to see a cormorant colony, as well as other bird species such as dolphin gulls, chimangos and kelp geese. Bobbing around in the Zodiac, watching the wildlife whilst breathing in the freshest of fresh air, really makes you realise how far removed you are from the rest of the world... it was perfect. Once back on board, we had an interesting opportunity to visit the engine room. I know nothing about ships and I found it very interesting to see how everything works. One of the benefits of being on an expedition cruise is the lectures; the evening’s presentation was on glaciology in Patagonia and it really helped me to understand more about the area we were in. Evenings on the Australis were very relaxed - we would dine together and excitedly chat about the day’s events, before retreating to one of the lounges for a nightcap before bed. Our entry into Pia fjord on day three was out of this world. Back on the Zodiacs, we had a chance to get up close to the glacier – the sheer size of it takes your breath away. The skipper of the Zodiac carefully navigated us through the broken ice to the shore, where we could sit and soak up panoramic views of Pia Glacier. This truly was one of the most incredible natural sights I have ever witnessed. Later that day and back on the boats, the staff had a treat for us all. It was time to navigate through Glacier Alley with its five impressive glaciers named Romanche, Germany, France, Italy and Holland. We were treated to drinks and food from each of the glaciers namesake’s country, which was a wonderful way to take in the scenery. Not for the first time, we felt very spoilt. It was an early wake up call on the last full day on the Australis. We were at Cape Horn, the southernmost point of the Americas, where extreme weather conditions have sadly caused many to perish. Fortunately, the weather conditions were in our favour and before we knew it we were back in a Zodiac, sprinting across the choppy sea to go where few have been lucky enough to go before. 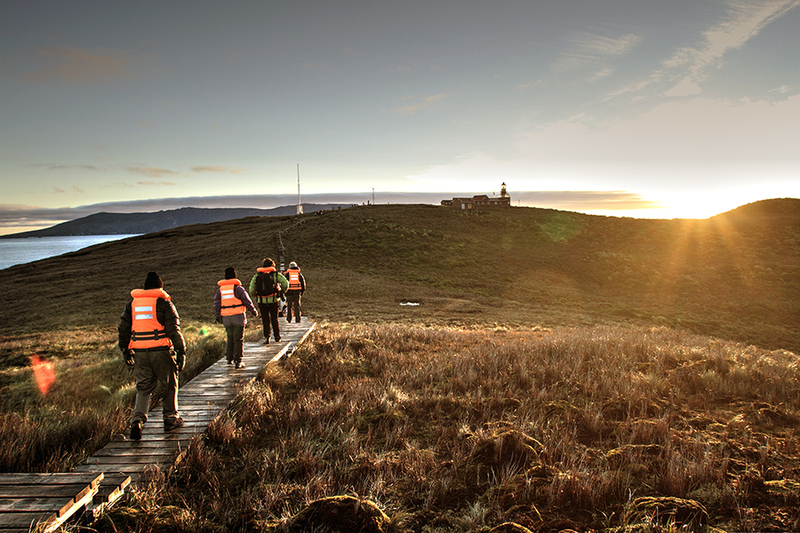 The experience of being at the lighthouse on Hornos island is one that no-one can forget. It’s hard to describe the feeling of isolation - we had made it to the 'end of the world’! After lunch, our final excursion was to Wulaia Bay, where there are remains of the Yaghan presence, the original inhabitants of the area. Two excursions were offered here, either a coastal or a hill hike, and we chose the latter. A steep walk up the hill rewards you with a view over the bay, with just the Australis sitting majestically in the water below. It was a magical way to end the trip, and after dinner we had a farewell toast with the captain, and reflected with our new friends about how the trip had really surpassed all our expectations. My trip on the Via Australis was one of the best I have ever been on and there was not one part of it that I would change. Marcelo and Haron, the expedition guides, really added to our experience on board. Their incredible passion and enthusiasm rubbed off on us all - they are a real asset to Cruceros Australis and it is because of staff like them that this trip is so popular and loved. For anyone visiting Patagonia, I highly recommend that you treat yourselves and book this trip. Whatever your age, it’s impossible to not be blown away by the scenery, wildlife and the sense of venturing to the 'end of the world'. I’d recommend spending a few days in Ushuaia before heading on to your next destination, and we can organise your pre and post accommodation for you. It is a beautiful little city surrounded by mountains and the atmosphere is really relaxed. The locals are incredibly friendly - one man carried my bags up the hill for me when he saw me struggling! 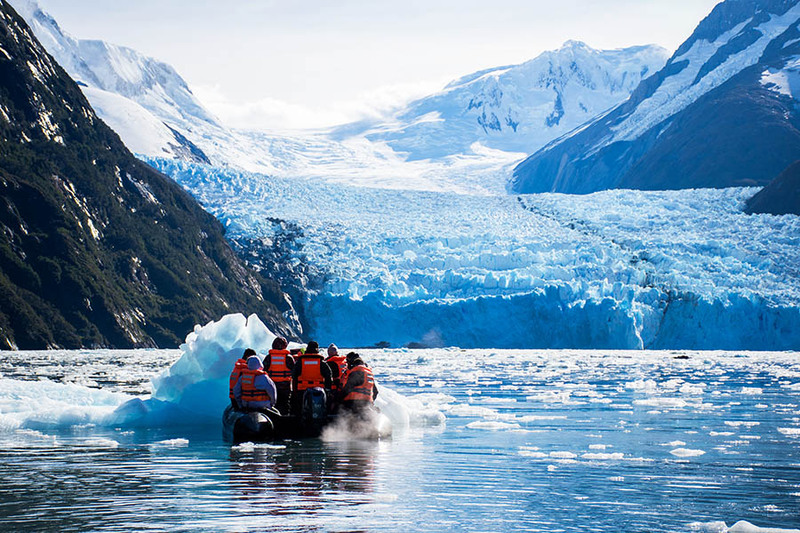 Interested in booking a Patagonia cruise? If I've piqued your interest in exploring Patagonia, or adding a cruise like this to the Chile/Argentina leg of your trip - great news! We can help you book direct or multi-stop flights to Chile or Argentina, find you accommodation for either end of the cruise or suggest more trip ideas - just call us on +44 1273320580 or email for a quote. 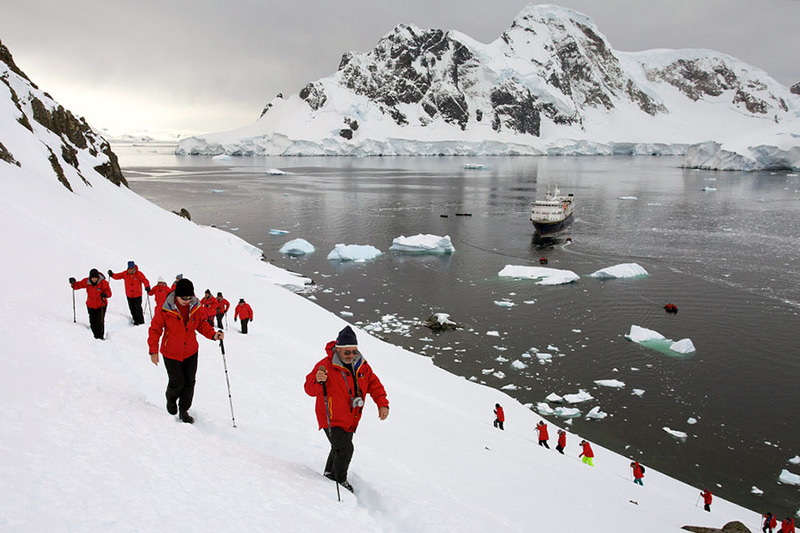 We also offer cruises into Antarctica which depart from Ushuaia if you're interested in navigating even further south!